The numbers produced by this summer’s FCBCamps have been more than positive. For the first time in the FCBEscola’s history, over 100 campuses around the world were organised, in which over 15,000 children took part. 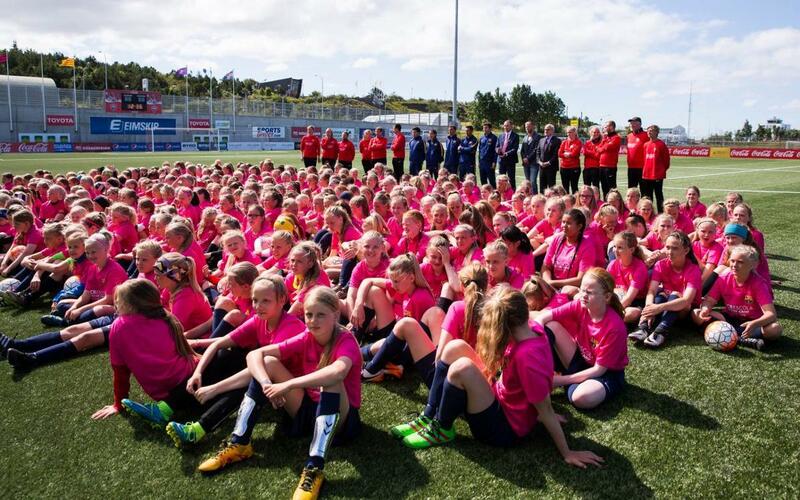 Across 30 different countries, children learned the Barça way of playing, in countries like Iceland, Greece, Hungary, Montenegro, Venezuela, Argentina, Kazakhstan, Australia and Lebanon. “In this expansion plan, we have made a strong effort in clear alignment with the opening of the club’s office in New York, in order to increase our activities in the United States, making the most of the country’s growth in football,” said Isaac Guerrero, Coordinator and Technical Director of the FCBEscola. A good sign of Barça’s success in the United States is the FCBCamp in Louisville, opened last July, in which 368 players took part, making it one of the most successful camps in FCBEscola’s history. “For the FCBEscola, it is a challenge and a great responsibility to export our methodic Barça model around the world. It is for this reason that to undertake this important company we rely on a first class technical team, a reference in the world of football development. Those mainly responsible for the message getting across with quality and sense are the200 coaches of the FCBEscola who have traveled many kilometres to share the same passion and the same formative idea with these 15,000 players," said Isaac Guerrero.